When I taught the 2nd grade, we always spent a lot of time learning about synonyms. It can often be a difficult concept for many students to understand. We did a variety of teacher-led and independent learning activities like this Synonym Blocks Matching Game. Write each word from the synonym word list on a label. Put each label on a block. You can also write directly on the blocks with the marker too. I like to use the labels because you can easily peel them off and put a new one on. 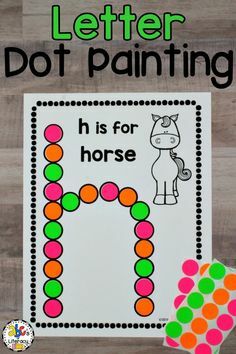 Hint: If you do write directly on the block and the marker doesn’t wash off, use a little finger nail polish remover and then wash the blocks. Give your child 3-5 sets of synonym blocks to begin with so he or she can practice. When your child learns the words and becomes more confident, you can give him or her more blocks to work with at a time. Tell your child how he or she will play the game. Then, model how they will find two similar words and put the blocks together. 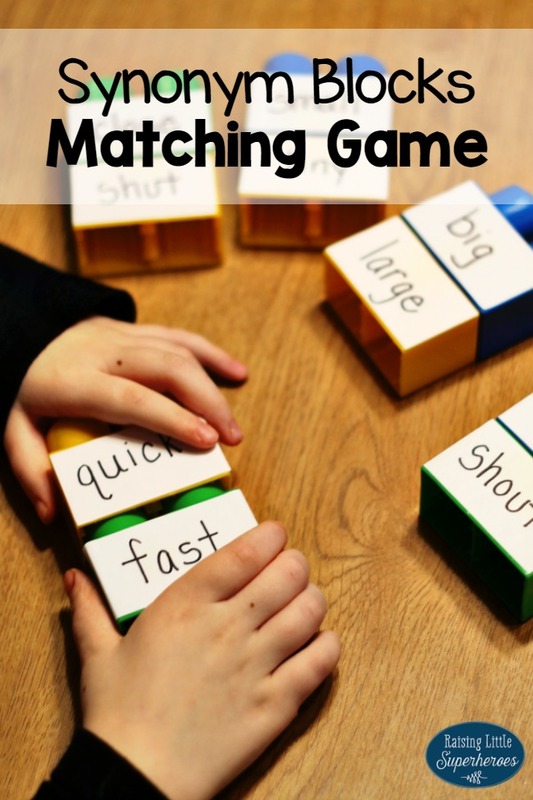 This Synonym Blocks Matching Game can easily be used as an independent activity in any homeschool setting or set-up as a center in a classroom. Children can do this activity by themselves or work with a partner to find the matches. 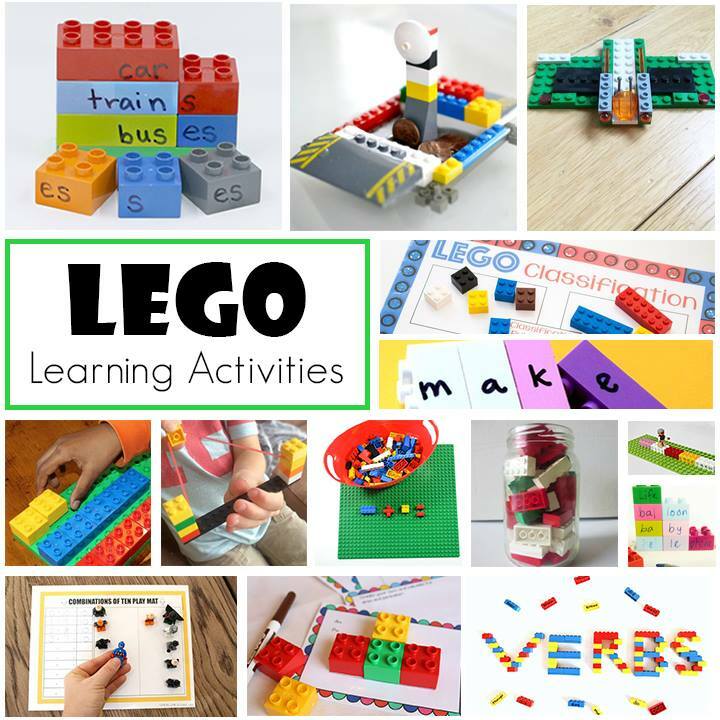 Check out these other LEGO Learning Activities! I love this! I would never have thought to use LEGO for synonyms!